Central Saint Martins BAGD: the course formerly known as graphic design? Every year, the BA graphics degree show at Central Saint Martins (CSM) is a highlight of the degree show season. This year did not disappoint. 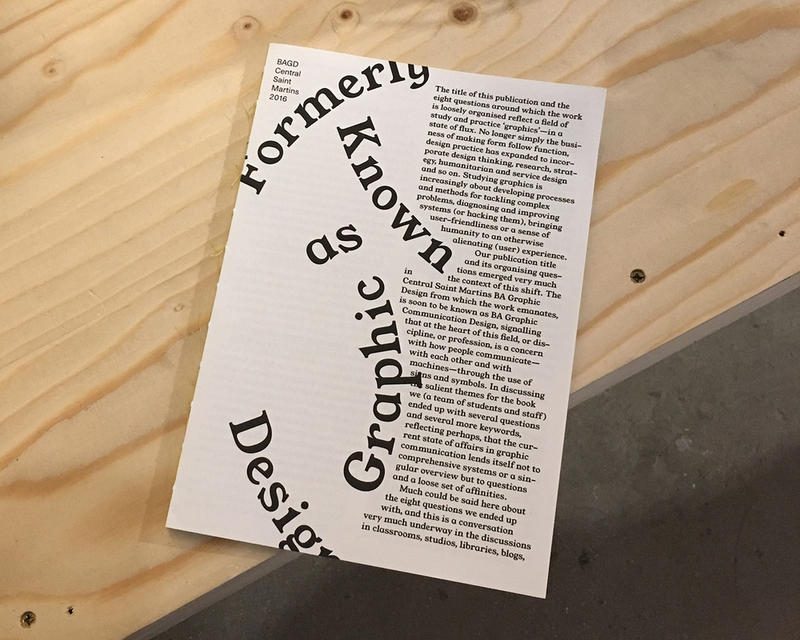 Previously, the degree work has been grouped into the traditional silos of illustration, graphic design and advertising, yet this year we found ourselves navigating curated themes such as 'How does graphic communication (re)solve questions?'. We were encouraged by the social thinking exploration coming from the BA graphics course, and look forward to seeing how these designers develop. The following are some pieces that caught our eye when we went on the Industry event last week. Annemarieke Kloosterhof explores cutting away cancer in paper form. Amy Elms shows that sitting down with a cuppa and some face time can defeat the disconnect of today's technological world. Joshua Smith aims to help people understand the Syrian conflict better. Phillipine Sohet's clever mobile workshop idea invites mindfulness in a unique way. Wen Yi Tseng brings Taiwanese fairytales to the fore, whilst highlighting the international nature of the course's students. Georgia Cranstoun's humorously titled book showed that the exuberance and experimentation traditionally associated with CSM students are not dead. Congratulations to all of the Central Saint Martins BA Graphics graduates on their amazing degree show this year! I look forward to seeing you out in the industry. All of the students' work can be seen on their degree show page here.